The 2017 Charitable Giving Report by BalckBaud® has arrived! Come ogni anno puntuale è arrivato il rapporto redatto da Blackbaud Institute for Philanthropic Impact. BlackBaud® per chi non lo conoscesse, è’ la più grande Azienda al mondo che sviluppa software e fornisce servizi didattici e culturali per il non profit. 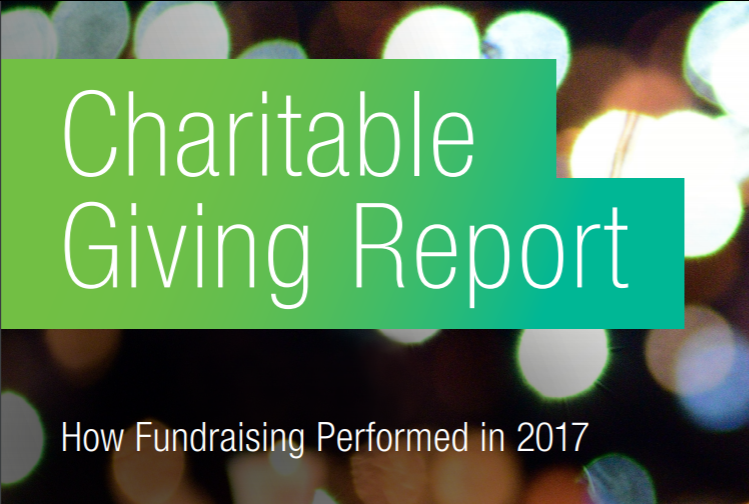 The 2017 Charitable Giving Report is one of the most credible resources on fundraising performance in the social good community, tracking nearly $30 billion in U.S.-based charitable giving from the Blackbaud Index. In this report, you’ll get your first look at 2017 giving data and how philanthropy was affected by this year of change and uncertainty. We hope you use this information to get a head start on benchmarking your organization’s performance and advancing your fundraising strategies this year. The sixth-annual #GivingTuesday was held on November 28 2017, and the growth in the global movement continues. • 26% of digital donations were made on mobile devices on #GivingTuesday 2017 Blackbaud is a founding partner of #GivingTuesday and has analyzed more than $203 million in online donations made on #GivingTuesday since 2012. This represents the largest amount of #GivingTuesday data ever analyzed and represents transaction data from across more than 7,200 nonprofit organizations. Blackbaud’s analysis found that #GivingTuesday donations continue to shift to medium-sized and smaller-sized organizations. Large organizations only represent 57% of the #GivingTuesday evenue compared to 80% in 2012. Mediumsized nonprofits are receiving 36% of #GivingTuesday revenue, followed by 7% for smaller organizations. myDonor.org > News > News > The 2017 Charitable Giving Report by BalckBaud® has arrived!